That Woody Allen, he knows how to get the Highland Cinema a-laughin'. And now that we're getting older we've found out he also knows a thing or two about getting the Highland Cinema a-creeped out. I know, I know, she wasn't technically his daughter, but ain't no right about that, no way, no how. 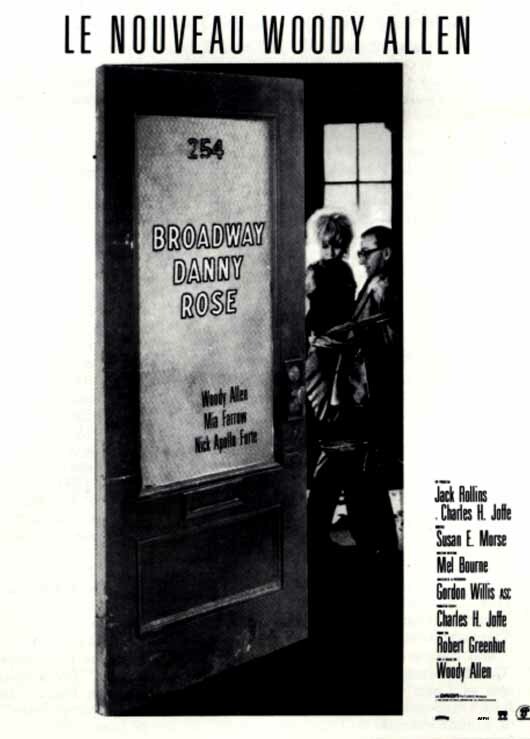 This Broadway Danny Rose? "A-O-decent!" if I can steal a witticism from our imagined good friend. Lots of exaggerated schlemiel-in' and neat photography, but not a whole lot else that got me going. That parrot wearing a bonnet, though, that had me dying.